Gosh that brings back memories. I used to go to some of those games mainly between 1948-1952. The seating was tiered and people used to throw their empty beer bottles under the seating, I crawled underneath collecting them and returning them to the marquee, a man asked how much I had made -10/6d I replied (a lot of money in those days) and that evening the conversation appeared in the Cov Telegraph. Wonderful memories, that to me is the beauty of this site. Wonderful, wonderful memories. Myself and my friend Roy Deakin used to go and watch some games, at least 1 a year, if I recall correctly they played 2 a year. Looking at the fixtures, we saw Surrey, which according to fixture list was in 1955. I would have been 11 and Roy 10. We had the money for the bus fare and the entrance for the first day, then, has already been mentioned, we collected empties to get money for next day. We lived in Sewall Highway near the Devon, and I'm sure that we went on the bus, so not sure how we would have got there. Entrance for juniors was about 1 shilling (5p in new money). We would sit through 3 days and keep a scorecard, how many people would do that today, especially youngsters!! We loved it. I'm sure that we would have seen the Bedser twins, possibly Peter May, Ken Barrington, Lock and Loader. For Warwickshire, I think that our openers were Gardner and Horner, Hollies was still playing, as was Tom Cartwright, and one of the fast bowlers was Bannister. Such gloriously happy memories. When Roy and I caught up again after over 40 years, he took me to show me what was left, a run down old pavilion, how sad. slash, as I said, the scorecards are clickable on that site! 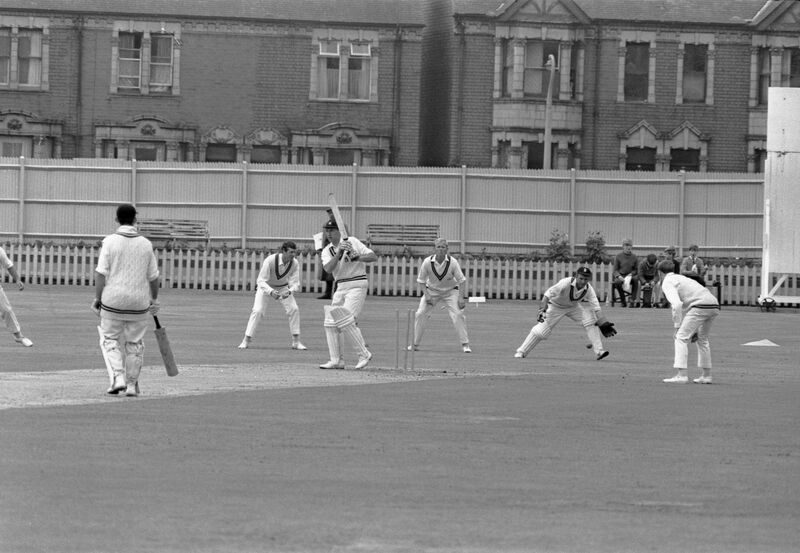 Click on "Warwickshire v Surrey" for the 1955 fixture and you'll see who played! Thanks for opening this thread Midland Red, you have obviously awakened a lot of memories - not just mine - Courtaulds I more or less gave you them on another thread, but I am taking the liberty as a Coventry man talking more generally about my Warwickshire cricketing experience - as a young lad. I clicked quite a number of the scorecards you gave us access to and I would like to comment on some of the names. Fred Gardner - Bevin boy during the war seemingly dour, but a brilliant opener, but I remember him fielding on the boundary - who should he be talking to, but my dad! He was originally an old boy of Hen Lane School, taught by my father. Norman Horner - the waspish cover drive, which he almost ran down the wicket to execute. Alan Townsend and Bert Walton - imports from Durham (I think). Townsend, good bat and brilliant fielder. Seem to remember Walton had a "red letter day" against one of the Australian touring sides, he was taking a load of wickets in their second innings - I think Simpson was captain and they were "sitting on the splice" John Arlott was commentating and he said "If you are a lover of cricket, turn off your sets now". There was getting to Edgbaston by bike from Allesley - all the way through Meriden to the Swan at Yardley, turn left and make your way round the outskirts of Birmingham (was a place called Maypole on the way?) to the back end of the ground, cannot remember what we did with the bikes, but it was usually a long queue to get in especially for the tourists games, Don`t think I saw Bradman, but remember Arthur Morris, Lindwall, Benaud, Johnstone, Saggers, Tallon, Simpson (fantastic fielder) - do you have the scorecards for tourist games MR? One final favourite Abdul Hafez Kardar - a Pakistani (maybe the first) who played for Warwickshire and I think captained his country, If I remember correctly a left arm bowler, with a very upright stance and military bearing, always looked as he would stand "no nonsense". One knowledgeable person in the crown informed me "he`s a Pathan you know" (I still don`t know), but I loved it when he came on (as well as our Eric - if you look at the number of overs he bowled, it looks as though you could never get him off). Oh and one final twist (pre-war) - my mother was opening fast bowler for Warwickshire - I believe - coached by Yorkshire men Norman Kilner and (Croome?) "That`s the lass as `el get t`wickets" - my first bat was hers, I think she played for Kenilworth Ladies. Play about on that same website, Roger, and you'll get virtually every cricket match! For example, I've got Warks v Australians 1956, which I went to, here! Super memories of cricket at Courtaulds. I was at the 1952 match between Warks and Kent, I was 10 years old. When the famous England wicket keeper Godfrey Evans came out to bat for Kent I ran onto the pitch and patted him on the back, he said "thank you, son". He had only just stepped onto the pitch at this point, nowhere near the square, nobody got agitated about one little schoolboy stepping on to the pitch, not at Courtaulds in them days. Another memorable match was the 1954 match against Yorkshire when I saw Freddie Trueman for the first time. He blew Warwickshire away taking 6 for 67 in the first innings, Yorkshire won by 10 wickets. I remember his long run-up, it started almost on the boundary at Courtaulds. In those days Warwickshire used to play 2 of their matches at Courtaulds per season. 1966 photo 1983 photo Happy memories! Happy memories indeed. My first visit was in about 1964 with my father, who hated cricket. After that I used to go there on the bus and meet school pals there during summer holiday games. For some reason I remember games there started at 12.00 and went on to 7.00. In later years I worked in Livingstone Road and a few of us used to skive off after lunch and spend the rest of the day watching cricket. What really strikes you with that second photo is the size of the crowd. I remember there was always a good turnout for Courtaulds matches. Very different from the miserable attendances at Edgbaston for championship games these days. 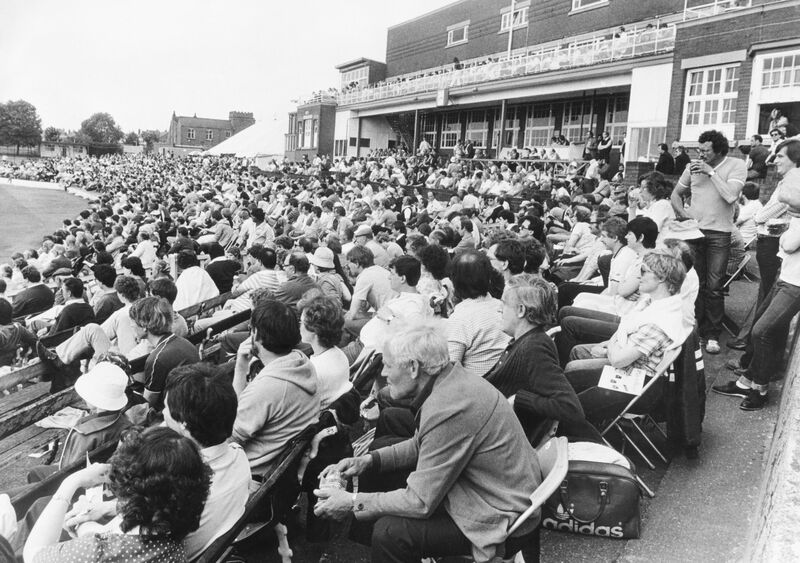 I've been at Edgbaston on days when you could actually count the spectators. Hi all I too remember the Courtaulds ground in full swing as in the pictures. The club building had been rebuilt. The lunch-time menu included fairly basic pub-grub, pie & chips kind of thing. As a member of the club, I did enjoy pretending to enjoy watching the games during my lunch break along with a half of Ansells. I did enjoy the Ansells.